2018 ended with a new contestant making its debut in the ACG event community. 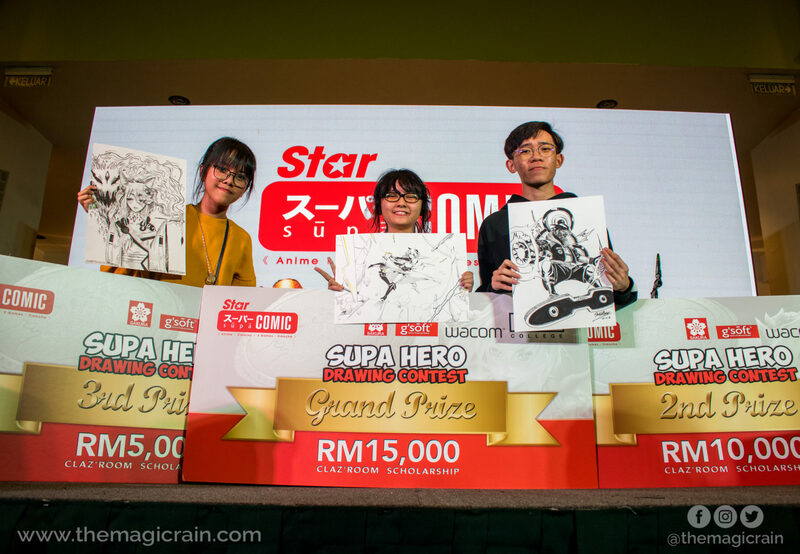 The Star’s Supa Comic which was powered by i.Star events, a subsidiary of the Star media group, was held on the 29th and 30th of December 2018 at Mid Valley Megamall’s Exhibition Centre. 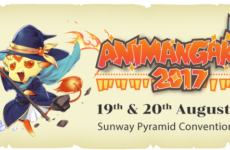 The event’s goal was to bring Western and Asian aspects of ACG (animation, comics, and gaming) closer and blur the lines between these two types of fans. 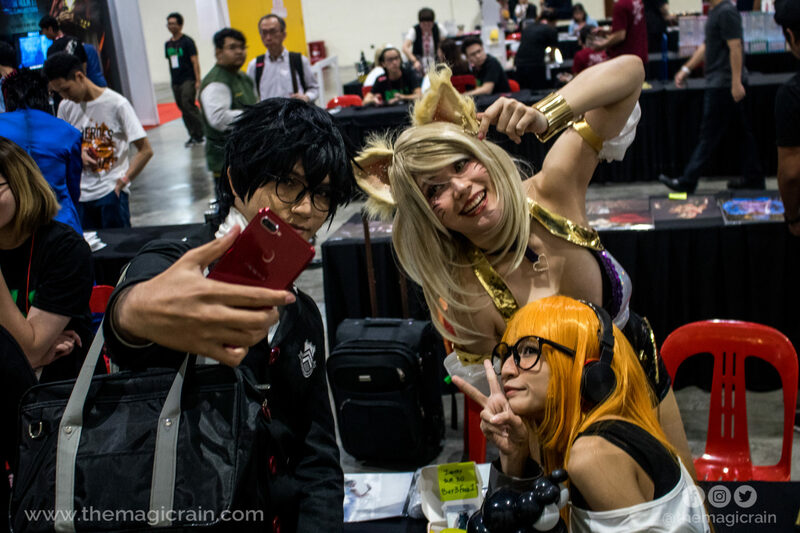 What makes a good cosplay? The craftmanship? The practicality of the costume made? The perfect character portrayal when on stage? 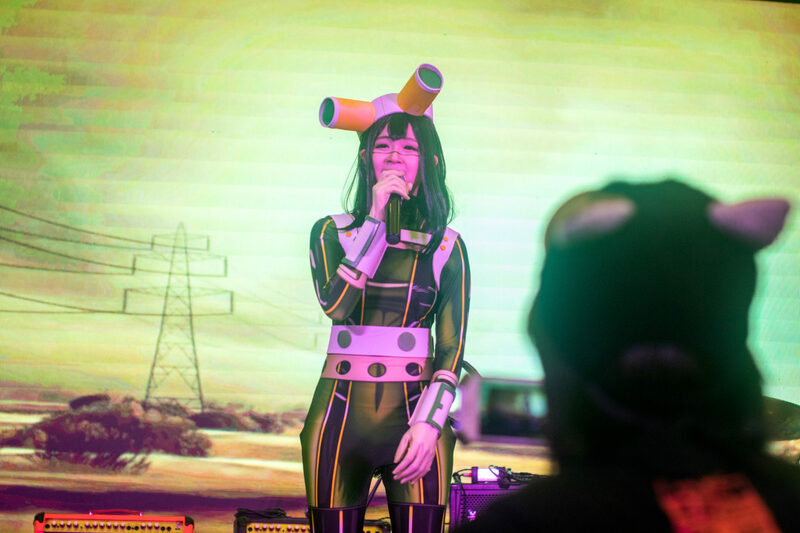 Well, the contestants of the cosplay competition got themselves the invaluable experience of performing on stage, as well as advice from local cosplay veteran Yugana Senshi Uon on aspects they can improve more. Our favourite performance? 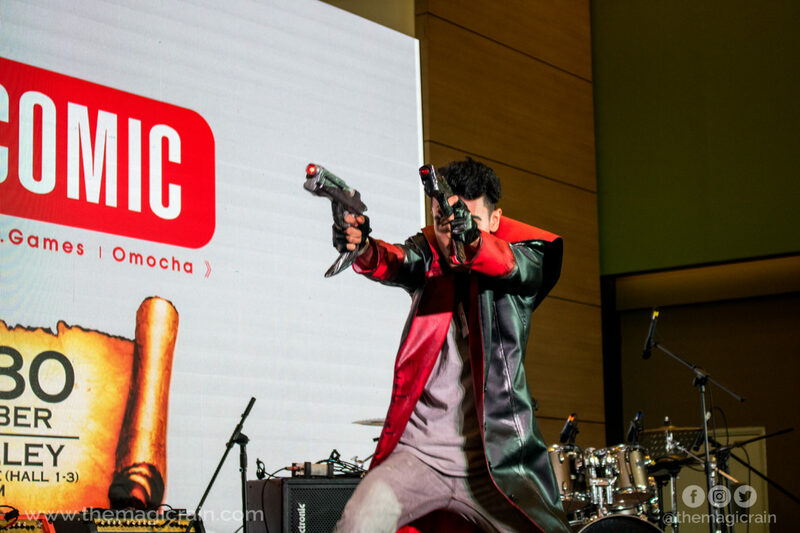 This Devil May Cry cosplayer had the best timing as each of his special effects SFX was executed well and the upbeat performance style he chose managed to captivate his audience well. But in the end, only two individuals got the best out of the competition by walking home with the grand prizes. 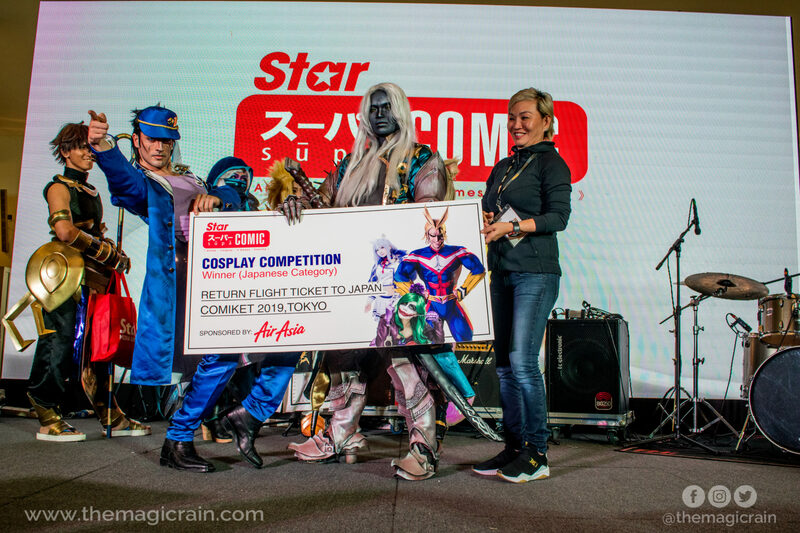 Chai Siew Wei won herself a trip to Australia’s SUPANOVA Comic Con and Gaming 2019 while Wong Shi Yuan took home the grand prize and will be heading to Japan’s Comiket this year; an uncommon prize among ACG cosplay competition prize pools. 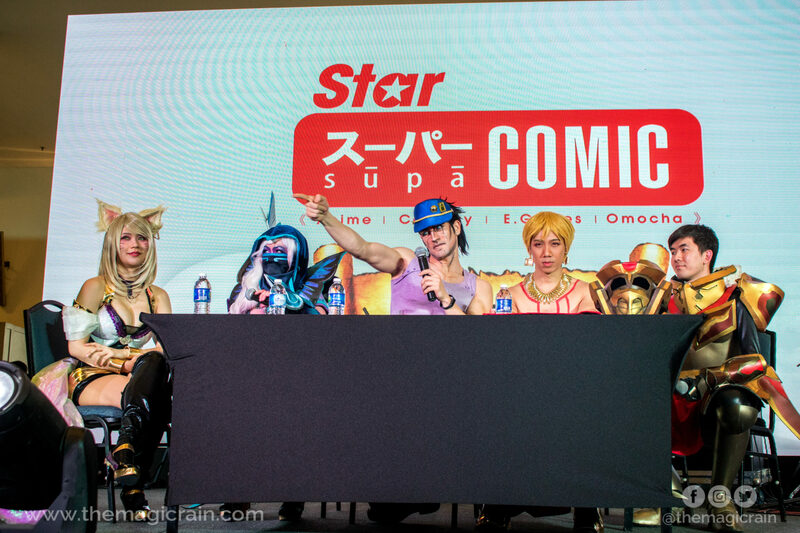 It is an undeniable fact that Leon Chiro from Italy became the spotlight of Star Supa. As it was his first time ever in Malaysian ACG events, fans swarmed the event just to get a chance to meet and interact with him. The lines were continuous and almost never ending especially for the second day of the event. He gave his all in providing each of his fans the best fanservice he could and never stopped making his fans burst into tears of adoration and or laughter. Onnies from Thailand too had her own fair of fanservice for her fans. She was very open and playful with her fans too. 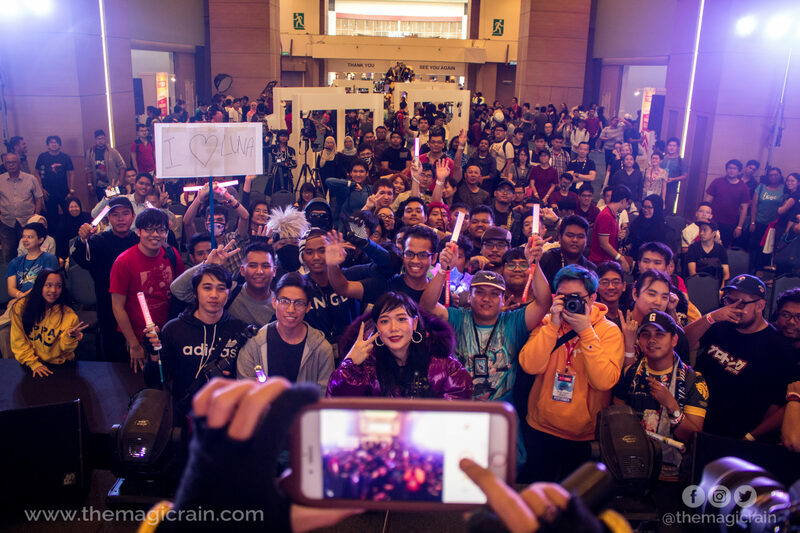 Clarissa Punipun from Indonesia also gave her fans a special treat by performing Sword Art Online iconic opening, ‘Crossing Field’ for the first time. 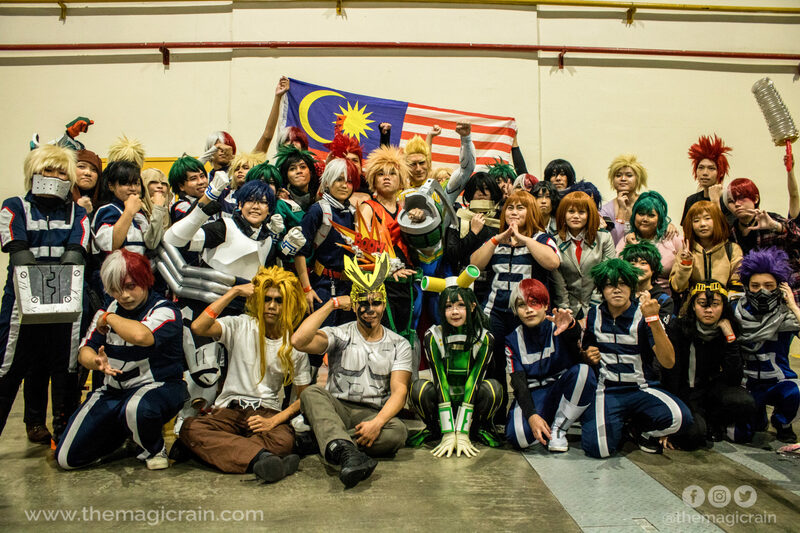 Boku no Hero Academia or My Hero Academia has already garnered fame within the cosplay community and is one of the common cosplayed series in any ACG events. 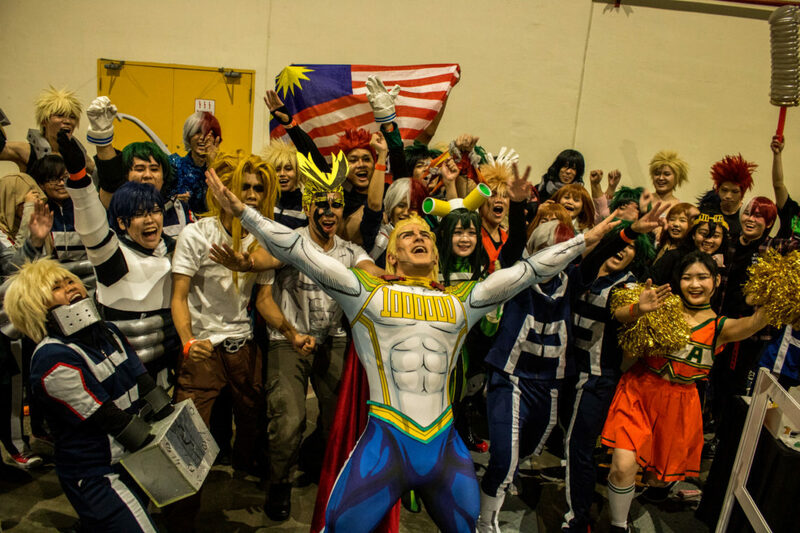 The organizers saw that as an opportunity and made an official Boku no Hero Academia cosplay gathering that was listed as one of the event activities of the day. Leon Chiro and Clarissa Punipun joined in the fun too by cosplaying Mirio Togata and Asui Tsuyu in their battle suits respectively. 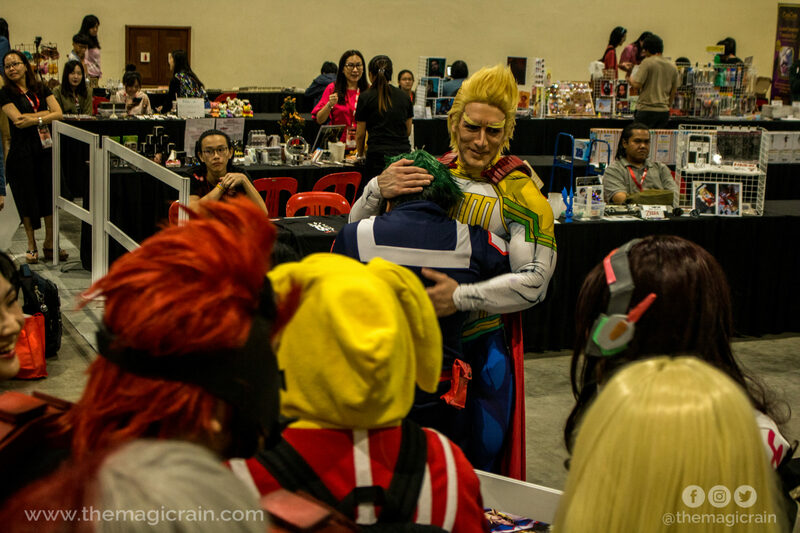 Leon Chiro single-handedly controlled the crowd with his charisma and made the cosplayers cheered ‘Plus Ultra’ multiple times. Even after the guest cosplayers returned to their tables to resume their signing event, the gathering still proceeded as usual. The cosplayers were interacting with each other and had fun creating short funny videos for their respective social medias. The competition was held within the boundaries of Hall 3 with the final match broadcast live on the main stage’s screen. Despite the technical difficulties at the start of the livestream, things soon started to flow smoothly with each team trying their best to gain the top place. 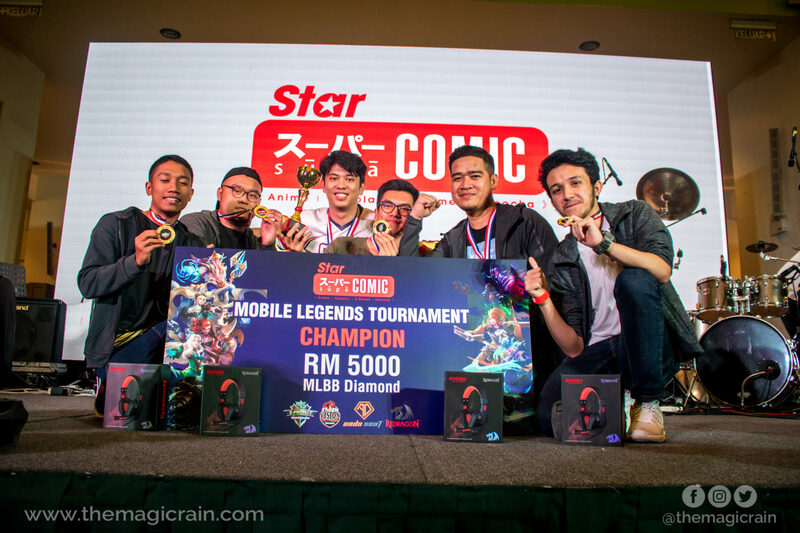 In the end, team Geek Fam managed to clinch the grand prize earning their team RM5000 along with gold medals and headphones to take back home. The 1st runner up was awarded to team Junior Assassin followed by team Traitor MGE as the 2nd runner up. 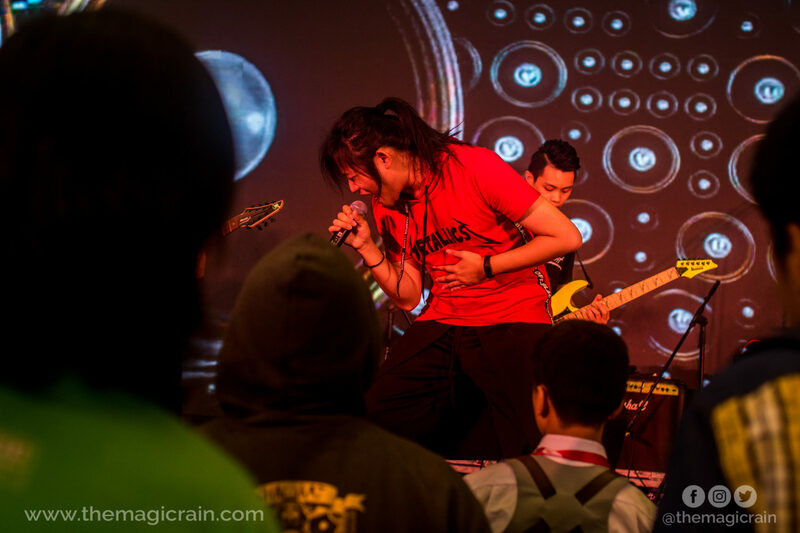 To seek potential talents in Malaysians aged 15 to 18, Clazroom College and Sakura came together with i.Star to host the event that would offer our local artists a chance to shine. 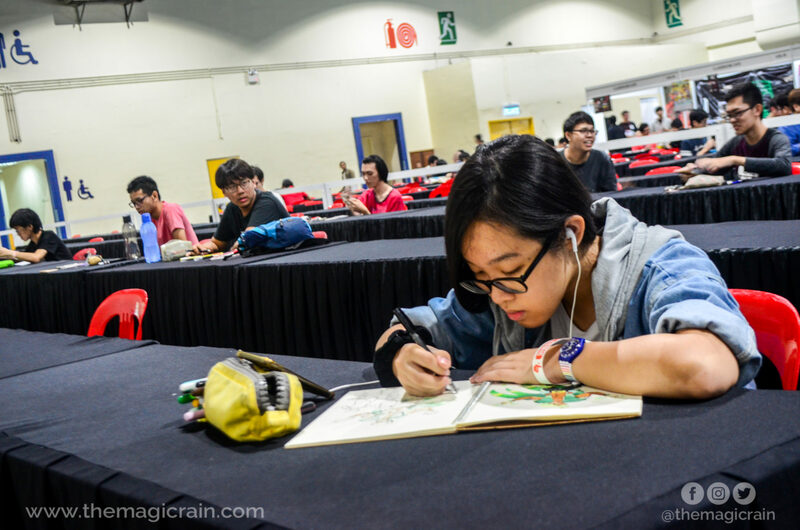 It was an on-site competition where contestants were given the challenge of drawing their own Superhero within a time limit. The talents of the inspiring young Atiaah Nabila Bt Faizal, Lai Shao Heng and Puteri Safa Natasha were brought to light in this competition with the presentation of their own style and interpretation of Superheroes, and walking home with a scholarship from Clazroom College, Wacom’s Intuos drawing tablets and Sakura stationary vouchers. 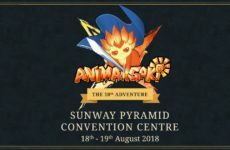 Luna Lorrain, Deltarhythm, Harmonia ACG, Mystical Mirage, Prime Monument and so many more local talents kept the stage entertaining throughout the two days. 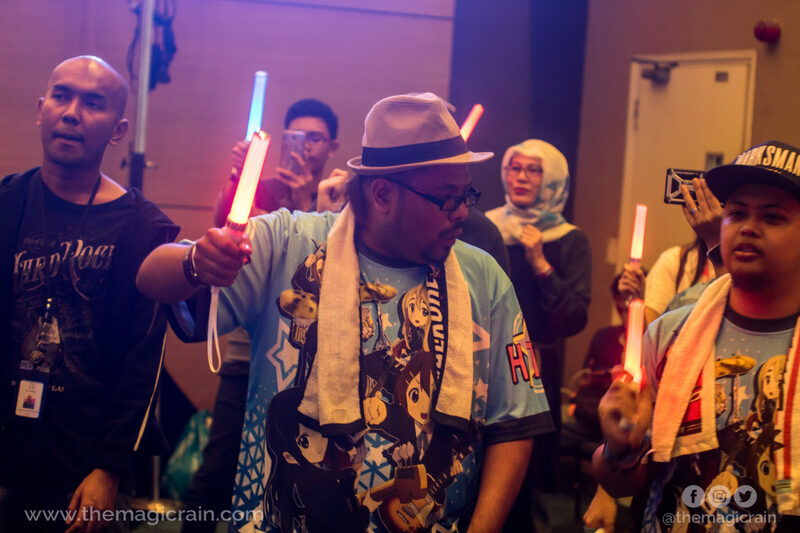 With the “wota” dancers there to always hype up the performance, the stage was always energetic and bright. 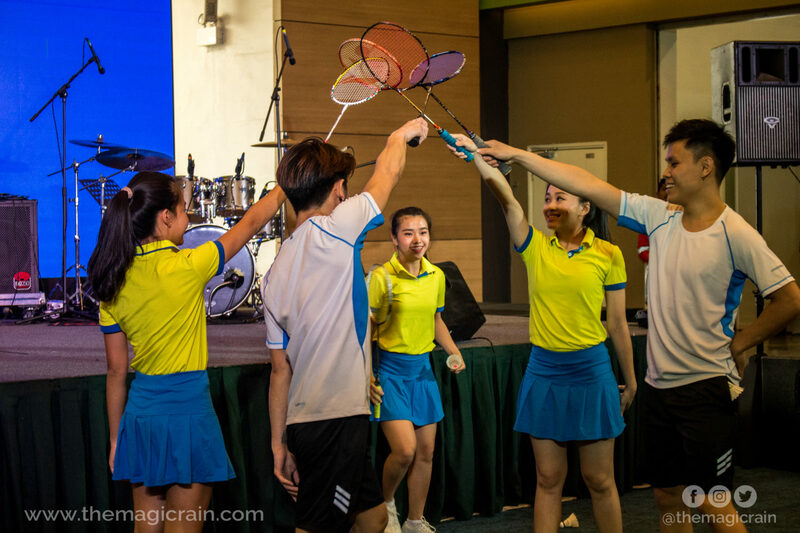 My personal favourite was the Hanebado performers dancing about with their badminton rackets and the stunts they were able to pull off smoothly. It was certainly a different experience from the singing and idol dancing performances for me and it helped shake things up a little to continuously arouse the audience’s attention. While it was a good start, they may have been too ambitious with the ticket pricing which was a sum of RM60 walk-in tickets for both days. The price of the ticket was too high for the limited attractions the event had to offer, with only the stage activities offering the most long-term entertainment value. However, there was one booth that deserves a special shout out for their creativity. 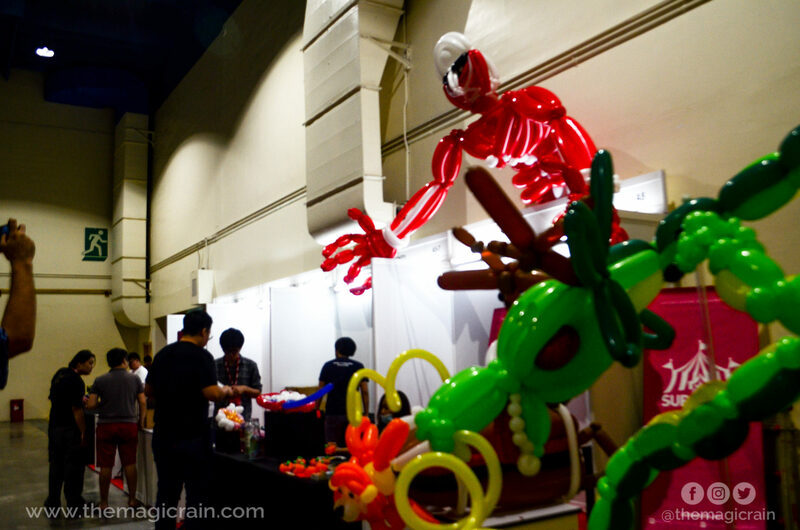 The Supa Dupa booth could be spotted miles away with its gigantic balloon Colossal Titan right on top of the booths with other mini and huge balloon creations. Anyone can commission a shape or character of their liking and the booth will make it happen. Furthermore, the price for it is purely based on your generosity and how much you see the commission worth paying for. 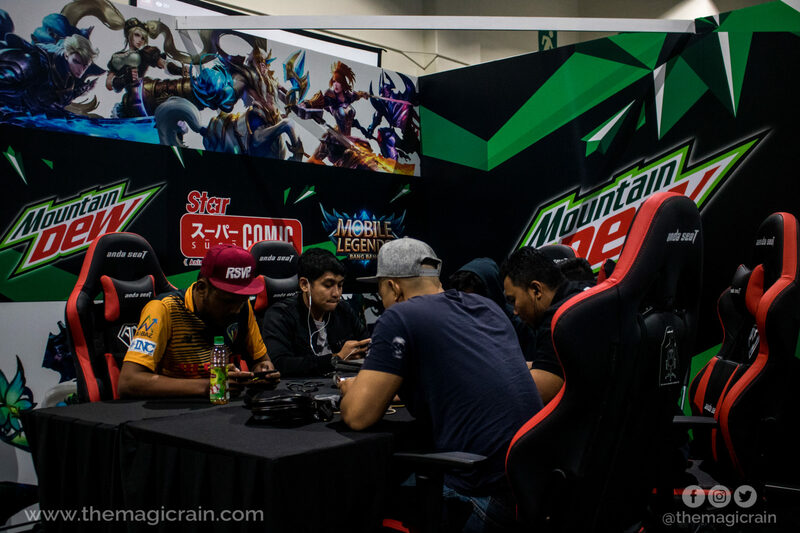 All in all, Star Supa still has room for improvement and growth as it is their first time hosting a ACG event. We’re looking forward to seeing them back again this year with more things to offer! 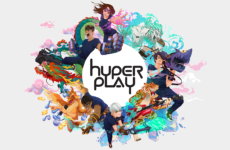 What do you think about the event? Share your experience in Star Supa in the comments below!